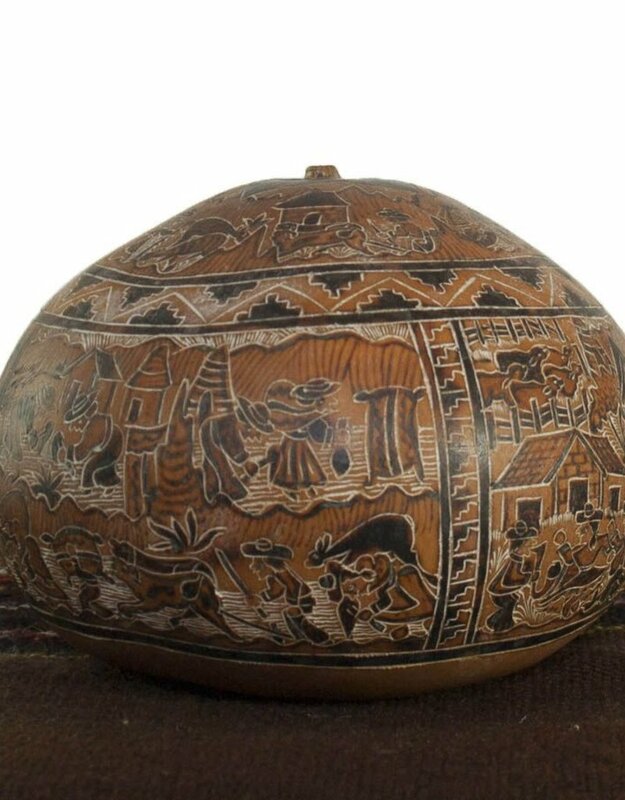 Hand carved gourd made in Bolivia. Approximately 3” tall with a circumference of 15”. 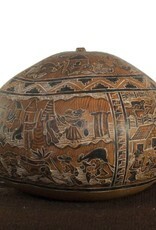 Depicts the hunting, gathering and then celebration of food. Has a small crack where the srtsit made a small hole to drain the gourd.